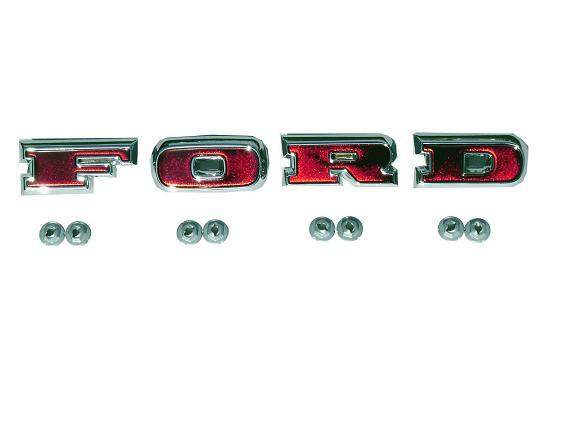 These Ford Grill Letters for Early Bronco have a deep red acrylic insert that provides a much nicer look than the OE-Style Grill Letters. It is difficult to show in a picture but these letters have more of a 3D look to the acrylic where the OE-style letters look more flat. Grill letters come with mounting nuts.